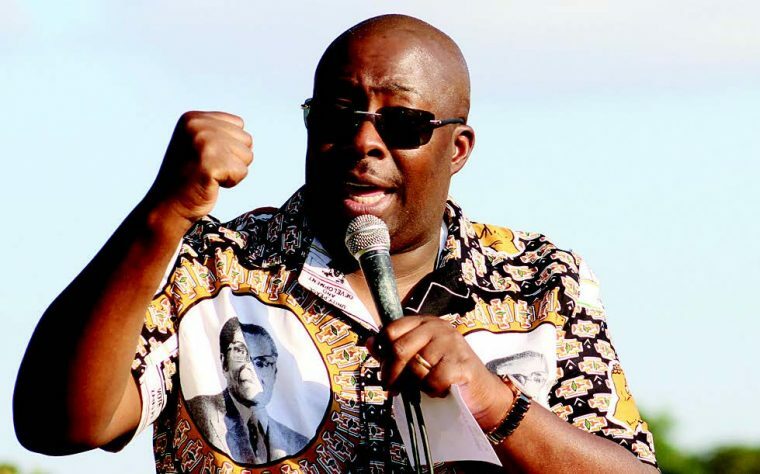 Zimbabwe African National Union-Patriotic Front national political commissar Saviour Kasukuwere is reported to have survived the purge against him yesterday but Jacob Mudenda who was chairing the meeting said he would only present his report next week. Both the State-controlled Herald, which has been unsympathetic to Kasukuwere, and Newsday, a private newspaper, said the meeting was highly charged with riot police being called to disperse youths that tried to disrupt the meeting. Kasukuwere’s supporters celebrated victory after the meeting but according to the Herald and Newsday the outcome will only be known next week when Mudenda produces his report that will be shared with President Robert Mugabe. Kasukuwere was accused of trying to oust President Robert Mugabe by setting up parallel structures an allegation Mashonaland Central Provincial Affairs Minister Martin Dinha continued to make even after yesterday’s meeting. “The entire meeting ended up being a showdown between him and me. I pointed out that G40 exists and Cde Kasukuwere was its mafia boss. I also submitted that he was gearing for presidency by co-opting people amenable to him in preparation for a possible congress,” Dinha told the Herald. “This was a G40 arrangement, which was stage-managed and we are surprised to realise there is now a constitution to be followed, yet all along people were being fired left right and centre without the constitution,” provincial war veterans’ chairperson, Sam Parirenyatwa told Newsday. The country’s 10 party provinces, the party youth league, war collaborators and war veterans had all voted that Kasukuwere should be kicked out. Provincial secretary for administration, Wonder Mashange, was, however, happy with the outcome. “(Mudenda) put the constitution on the table and we are very happy with the deliberations. In fact, it was made clear that there is no one who wanted to turn against the President. That is taboo,” he was quoted by Newsday as saying.